The new feature enables Yik Yak users to access updates remotely and see what's happening in select locations without actually being there. Anonymous messaging app Yik Yak has announced a new feature called PEEK. The feature allows users to see the posts and updates from areas around the world, without actually being in that location. The announcement from the company envisions everything from checking up on your college campus during the holidays to getting on-the-ground reports from areas of struggle, such as Ukraine. Given that Yik Yak has tackled an abuse problem in the recent past, the PEEK feature was considered very carefully. It only allows users to view and read statuses, not interact with them. “Users can look into other locations but may not post, reply or vote on that location’s feed,” Droll told SocialTimes. Yik Yak’s claim to fame is that unlike some other anonymous apps and services, it functions as a hyper-local network. 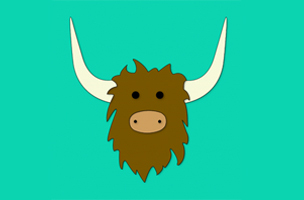 And despite the addition of PEEK, Yik Yak remains that way: Users can only post locally. PEEK allows users to get a look into the mood of an area, from the college campus to a presidential inauguration, which could very well change the nature of sourcing breaking news. “The potential for Yik Yak’s PEEKing feature during important global events, or even an event such as the Super Bowl or Presidential Inauguration, is unmatched with any other social platform,” said Brooks Buffington, the company’s COO and co-founder.